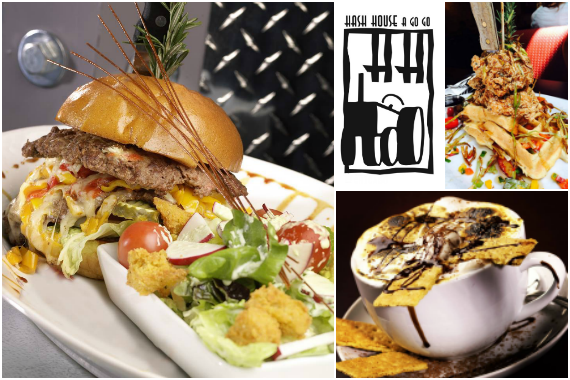 Hash House A Go Go - 6800 W. Sahara Ave.
At Hash House A Go Go, we keep the fun in food while pulling from the experiences of farm fresh agriculture, serving southern comfort food with a twist. OMG, the portion sizes are worth every penny. Amazing food and reasonably priced. Although we had a bloody Mary that was totally overpriced. The food though is huge portions for a good price. Service was mediocre, not outstanding. Definitely worth checking out and we'll definitely be back. Yes, I'd like to receive news from Hash House A Go Go - 6800 W. Sahara Ave..
Sign up for the Hash House A Go Go - 6800 W. Sahara Ave. Newsletter!